Jeff Sessions, the man behind all troubles facing potheads and Cannabis entrepreneurs in the U.S recently, announced a deferment of the Obama-regime Cole memo. This memo offered states official pardon from federal intrusion regarding state marijuana laws. Naturally, the attorney general’s move scared a handful of investors considering the now growing pot industry. But here’s why the remaining majority should put in more resources and finances in the U.S. 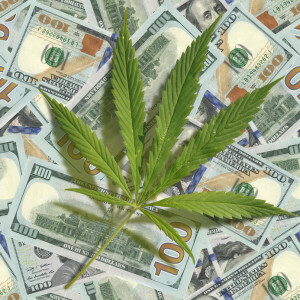 Marijuana business. Trump’s admin made a lot of debatable decisions in the first year, most times, going unquestioned by congressional Republicans. But this time, Sessions must have rubbed most of them the wrong way— he’s triggered a bipartisan rebuke. Advocates from all states that have decriminalized weed, particularly Colorado and California have joined forces with Democratic leaders to express their shock at the news. Even some Republican legislators are joining the resistance claiming the A.G’s plan to rescind the Cole Memo directly contradicted his promises when he took the oath of office, and those Trumps made to the people when contesting for the presidency. Republican Sen. Cory Gardner (Colorado) said that this is not what Donald Trump promised Colorado in 2016 and that the repeal is unlawful. Plus, it puts millions of revenue and very many jobs at risk. Republican Sen. Dan Sullivan (Alaska) however thought that though the Cole memo suspension is in disagreement with Trump’s statement, it may force Congress to stop ignoring the fact that they need to find a long-standing solution for weed-legal states. Sessions repeal of the Cole memo revokes the Department of Justice’s previous regulation on cannabis. In doing so, he pushed federal prosecutors to decide on a legal course of action in marijuana-legal states; and they may as well choose not to nothing. The Executive Director for the Marijuana Policy Project, Matthew Schweich said that states are no longer willing to help the federal government impose harmful cannabis policies anymore. Most states are now ready to legalize pot for adults. Legal experts have higher priorities to take care of than handle some new weed cases. Plus, prosecutors have limited resources to press charges against lawfully operating Marijuana companies and consumers. Scientific evidence has proven beyond any doubts the many medicinal uses of marijuana. As a result, we expect this to increase consumer demand for weed products in spite of the ongoing political threats. For instance, Florida is experiencing noteworthy consumer growth since it legalized medical marijuana. This entry was posted in Marijuana Industry, Recreational Marijuana and tagged Cannabis Entrepreneurs, War on Marijuana by admin. Bookmark the permalink.